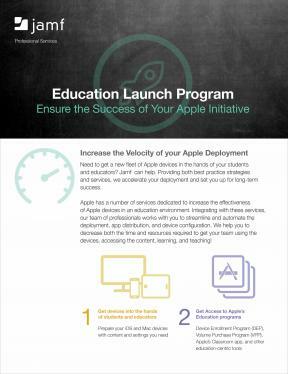 Need to get a new fleet of Apple devices in the hands of your students and educators? Jamf can help. Providing both best practice strategies and services, we accelerate your deployment and set you up for long-term success.